Netgear has introduced the new Orbi Outdoor Satellite. “Australians want seamless WiFi, whenever and wherever they need it, no matter whether it’s inside or outside the home,” said David Henry, Senior Vice President of Connected Home for Netgear. 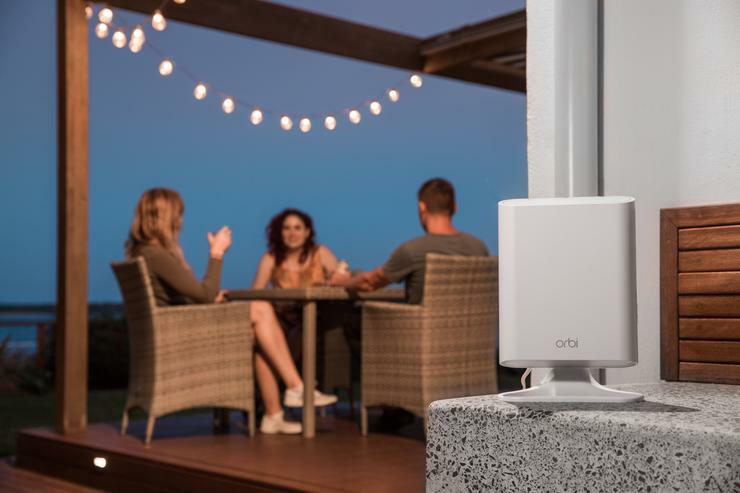 The satellite connects to any Orbi Tri-Band Whole Home Wi-Fi System or Orbi Pro Tri-Band Wi-Fi System for Small Businesses and extends Wi-Fi coverage outdoors. The new satellite will also adopt the characteristics of Orbi Pro for Small Businesses when added to that network, such as guest and employee traffic separation and a dedicated admin network. The Orbi Outdoor Satellite is available now for $549. For more information, visit https://www.netgear.com/orbi/rbs50y.aspx.